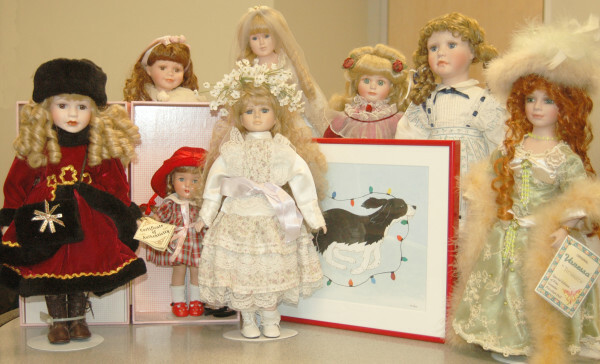 Local philanthropist and doll collector Marilyn Duane left her doll collection to benefit the Waldo County General Hospital Aid. She also left $2 million to benefit three local and one national non-profit organizations. BELFAST, Maine — Marilyn Duane was an intensely private person, and before her death last October the 85-year-old directed her attorney to destroy nearly all of her personal items and photographs. What she did leave behind was a legacy of generosity that will benefit her community for years to come. Next Wednesday, Duane’s attorney, Lee Woodward, will give checks totaling $2 million to four organizations during the regular lunchtime meeting of the Belfast Rotary Club. That’s half a million dollars each for the Belfast Rotary Club, the University of Maine Hutchinson Center, the Boy Scouts of America and United Midcoast Charities. The organizations will receive more money later from Duane’s estate, after shorefront property in Bayside and her Belfast home are sold, Woodward said. The Rotary Club will use all the money for scholarships for Waldo County students. Last year, the group gave $28,000 in scholarships in what was the “biggest year we ever had,” Woodward, a club member, said. The scholarship dollar amounts are going to change dramatically, thanks to Duane’s largesse. For the United Midcoast Charities, the Camden-based organization that was rocked last year when former president Russell “Rusty” Brace was accused of embezzling $3.8 million from its coffers, the gift means a lot, both financially and in terms of regaining community trust. That’s true, said Art Hayes of Belfast, who was her neighbor. Marilyn Duane grew up in Bangor, the daughter of Dr. Henry and Dorothy Carlton Johnson. Her husband was an early computer engineer who worked for General Electric, and when the couple, who had no children, retired to Belfast in 1987, they jumped into the community. He joined the Belfast Rotary Club, where he sat next to Jim Patterson, the former director of the Hutchinson Center. She was a member of the Belfast Garden Club and the Daughters of the American Revolution. It was being friends with Jim Patterson that inspired Duane to leave part of her fortune to the Hutchinson Center. University of Maine officials said the gift will be used to establish three funds at the center: the James C. Patterson Scholarship Fund, the Marilyn Duane Scholarship Fund and the Marilyn and James T. Duane Community Outreach Fund, which will focus on creating access to lifelong learning opportunities that otherwise would not be available. Woodward said he didn’t know exactly why Duane settled on the Boy Scouts as another recipient of her bequests. When he contacted the national office of the organization to let them know about the $500,000 gift, which he planned to send via FedEx, 45 minutes later officials called him back to say that the chief legal and accounting officer would fly to Maine to accept the check himself. It will make for a memorable Belfast Rotary Club meeting — but perhaps a more colorful event made possible by Duane’s generosity will happen a few days afterward. The avid doll collector left her entire collection to benefit the Waldo County General Hospital Aid, which will sell it from 3-6 p.m. Friday, April 17, and from 9 a.m. to 2 p.m. Saturday, April 18, at the Methodist Church Fellowship Hall at 23 Mill Lane in East Belfast.